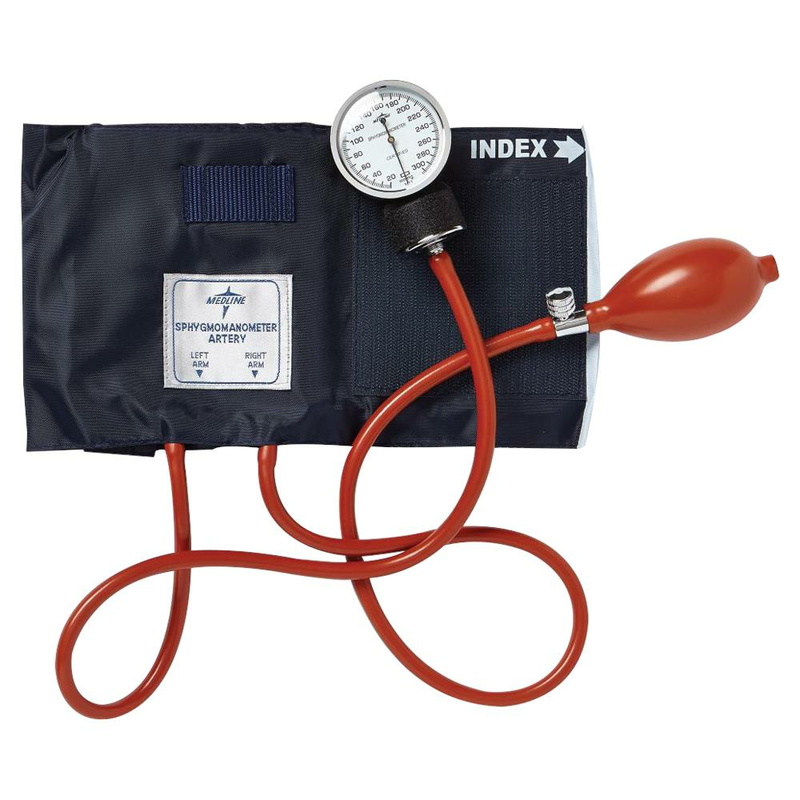 Medline Reusable Neoprene Handheld Aneroid comes with durable neoprene tubing and bladder. Exceptional accuracy from a top-quality, zinc alloy precision gauge and Nylon rangefinder cuff for quick, convenient patient fitting. It has no-stop pin action for visual calibration check and added accuracy. It includes carrying case and not made with natural rubber latex.